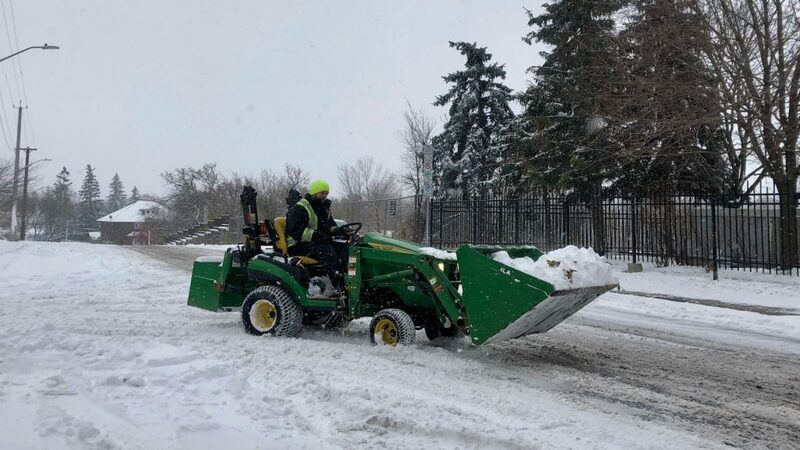 Well, if you didn’t believe winter has started, you probably do now as the Ottawa region is coping with its first major snowfall, with more to come. Environment Canada issued a winter weather travel advisory Friday morning, in effect until afternoon. The poor visibility and bad road conditions that resulted led to 17 collisions this morning, according to a tweet issued by Ottawa Police. As the day progressed, more collisions were reported. The police reported a total of 94 by 4 p.m. The snow led to school bus cancellations across Eastern Ontario, delayed flights and a few delayed OC Transpo buses. If you are a cross country skier there are even a couple of Gatineau Park trails open for business. Periods of snow were expected to continue through the afternoon Friday and into the evening. In all, the region is expected to get up to 15 cm of the white stuff. Environment Canada says Saturday will be clear with a high of 2 C with temperatures dropping to – 11 C in the evening. On Sunday the area will see a mix of sun and cloud with a high of – 1 C, and a 40 per cent of flurries in the evening. The flurries are also expected to continue next week.